An apple a day keeps them smiling away—especially when it’s paired with a basket full of cheerful blooms! 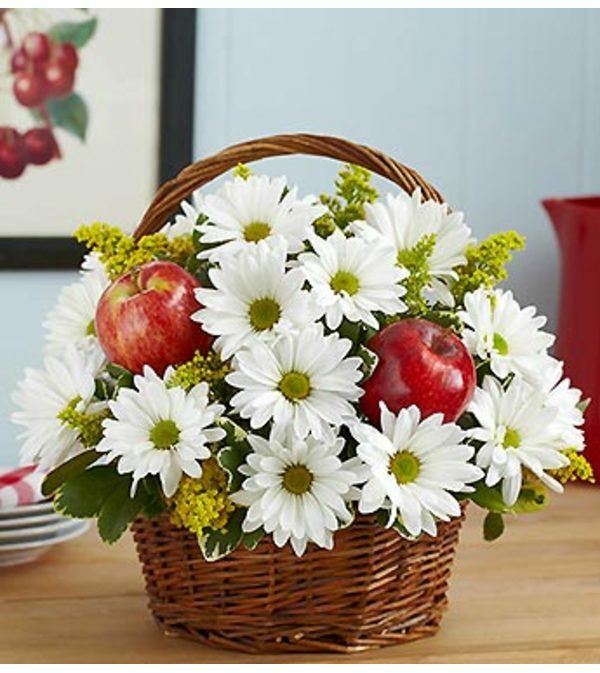 Our florists gather the freshest daisy poms and more inside a charming handled basket accented by realistic looking apples. 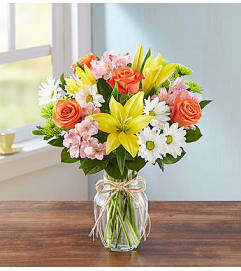 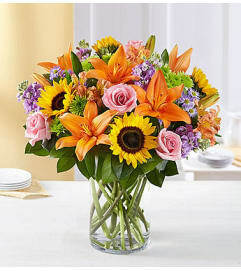 It’s a truly original gift for graduations, teacher “thank yous” or surprising the apple of your eye.